Photon celebrates their consistent indie artist development. An independent label developing talented artists. Photon Records started in 1994, has successfully developed talented artists for larger markets. Currently Photon Records has seen some of it's artist achieve Top 40 status. 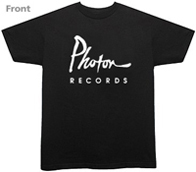 Photon Records is headed by Steve Amend. Steve has charted Top 40 as a producer, guitarist, bassist and songwriter. As a producer, Steve has charted seven consecutive Top 40 singles. (click to see reviews for Southfourth | Jim Walsh Band. Steve Amend has multiple endorsements from a variety of guitar related companies, and is considered to be one of the foremost guitarist in the world. You may contact Steve Amend directly by e-mail: samend@photonrecords.com. Photon records currently has access to global distribution via retail stores and internet outlets. Photon Records offers experienced and economical "Artist Development". Our on staff producer Steve Amend has charted many Top 40 hits in the past. Photon Artists have charted on Gavin, FMQB, CMJ and NMW charts under the production of Steve Amend. We are versitile enough to manifest the sound(s) you are after, within your budget. Strategic and economical planning, leading to continual success. Photon Records specialty is delivering experience and excellence at reasonable costs. Photon Records strength is in it's pre-production and production services. 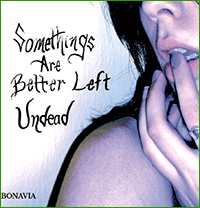 Excellent production available to prepare, arrange, co-write, refine, songs for recording. As well as re-mixing and mastering. We have access to all of the latest up-to-date recording facilities, graphics, and production services any artist or label may need. • Digital Recording ProTools and Logic. Engineering and Mastering done on premises. • 24 track Analog, tracking 2 inch tape. • Experienced Engineer who has been working in the field for 20 years, currently records for major labels, and has freelanced at many major recording studos in Manhattan including The Power Station. Also having Top 40 hits to his credits. • Mastering you may choose from three of our mastering professionals. Experienced and able to meet any production need! Photon Record specializing in CD jackets, local and national advertising campaigns and website production. We have relationships established with local printing and packaging outlets, that offer fast turn around at reasonable prices. In summmary we may take an artist at any level and develop them for larger markets. For regional, national touring/media relations, contact: Robert Henry New Releases!